Don’t wait until it’s too late to find out how your organization responds to a hacking attempt. Use our Red team services to understand exactly what would take place using professional methodologies as well as a plethora of tools to break into your systems without any of the drawbacks. 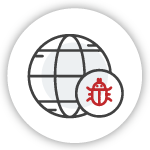 Our Red Teaming services model the exact attacks that real-world malicious actors are most likely to deploy to penetrate your security posture. Our simulated attacks will provide a “live fire” drill for your security systems, personnel, and processes. Doing so provides multiple beneficial outcomes. A Red Teaming exercise allows you to assess the ability of your defenses to effectively detect, respond to, and remediate an attack (and to determine the level of damage you would suffer if the attack came from a malicious actor). This serves as a wake-up-call for many organizations.  Thankfully, exercise also collects substantial intelligence regarding your defenses, and provides practical steps to close the vulnerabilities our team exploited, and to fix the failures within your team’s detection and response to our simulated attack. Tell us as much as you can about your requirement; If you're applying to become a reseller, tell us much as you can about your company. © Kralanx 2018 - All Rights Reserved.